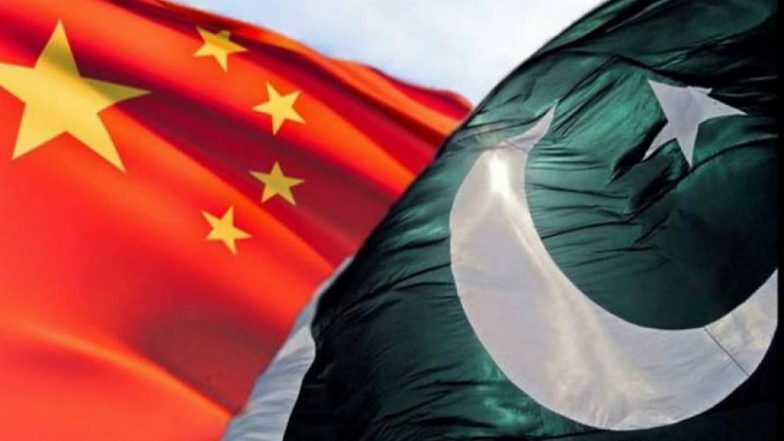 Beijing, March 19: China on Tuesday said it would stand by Pakistan during its testing times and firmly support it to uphold its sovereignty and territorial integrity and also told the international community not to target it following the Pulwama suicide bombing. At the meeting of Foreign Ministers Wang Yi and Shah Mehmood Qureshi, the two long-standing allies discussed the Pulwama attack in Jammu and Kashmir that left 40 CRPF troopers dead and led to a major crisis in India-Pakistan relations. Qureshi told his Chinese counterpart about the increase in what he claimed were violations of human rights of Kashmiris in India after the attack and "rapidly deteriorating situation" in "the Indian side of Kashmir". He also stressed that Pakistan "was and is" ready for a dialogue with India to arrest the deteriorating bilateral situation which, he said, could have spiraled out of control after India bombed a Jaish-e-Mohammed training camp at Balakot. China Backs Pakistan's 'Quest For Peace Through Dialogue' To Settle Dispute With India. The two Ministers met under the framework of China-Pakistan strategic dialogue in Beijing, a week after China - for the fourth time - blocked a resolution at the UN to declare JeM leader Masood Azhar an international terrorist. His outfit had claimed responsibility for the Pulwama attack. China's move has left India frustrated and disappointed with many questioning if the path-breaking meeting between Prime Minister Narendra Modi and Chinese President Xi Jinping at Wuhan last year yielded any substantial result. Pakistan, however, is faced with international opprobrium for not acting tough against terror outfits at home, with France sanctioning Azhar and freezing his assets. On Tuesday, China came to the defence of its ally Pakistan, again asking other countries not to vilify it. "No matter how things change in the world and in the region, China will firmly support Pakistan in upholding its sovereignty, independence, territorial integrity and dignity," Wang said. After the Indian air raid, Pakistan tried to pay back in kind by scrambling its fighter jets which led to a dogfight with Indian jets. Both sides lost one jet each while an India pilot was captured by Pakistan, only to be released within days. At a joint press conference, Qureshi said that he discussed the situation emerging out of the Pulwama incident. "As the Foreign Minister (Wang) was suggesting that both sides have to show restraint.. I think the world has noted that Pakistan did exercise restraint and showed responsibility. "Pakistan was always ready for engagement and dialogue and still is to resolve all our outstanding issues. We did discuss the impact the incident has had on Pakistan-India relations and the impact it could have had if this would have risen to a different level of escalation," he said. Qureshi said he briefed his Chinese counterpart "on the steps Pakistan has taken to safeguard our territorial integrity and steps we have taken to de-escalate". "Pakistan appreciates the role China has played once again in standing by Pakistan in the difficult times. "I also briefed the foreign minister on the rapidly deteriorating situation on the Indian side of the Kashmir... the intensification of human rights violations, especially after Pulwama. This is a concern because that leads to a reaction and that reaction at times creates tension in the region which must be avoided. "I think there's a need for a new assessment on how the the situation on the Indian side of Kashmir should be handled by the Indians. There are now voices within India that are questioning the efficacy of the policy that they've followed for the last so many years." The two sides also discussed the China-Pakistan Economic Corridor where Islamabad reassured Beijing of its commitment to the project's expeditious implementation. China has infrastructure projects worth billions of dollars under the scheme in disputed Kashmir claimed by India.